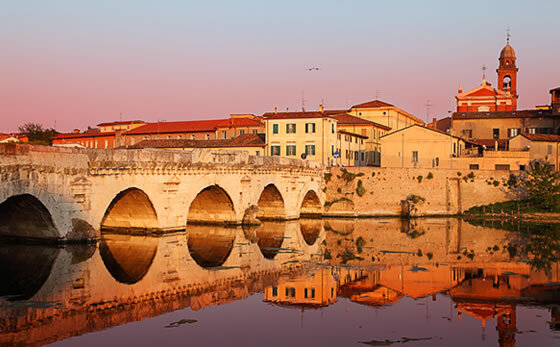 Rimini and the Adriatic Coast are waiting for you and your kids to enjoy its sandy beaches, its numerous thematic parks, its medieval suburbs, its events and outlets where one can find fashion and convenient prices. 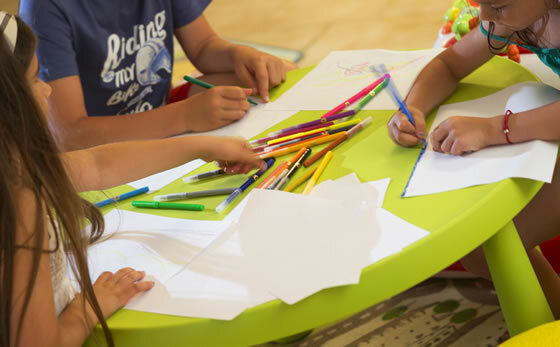 Hotel Villa Bianca is the ideal place for families with kids because apart from the hotel’s swimming pool, a place in which you can swim and enjoy your holidays in security, your kids will be able to play the big baby room which is 125 meters wide and full of interesting books and games. Families with kids, couples and young people find unlimited possibilities to have fun on the Adriatic Coast. This is partly due to the presence of the thematic parks on the territory and partly due to the offers which are capable of satisfying any type of request. The hotel’s staff is at your disposal for the offers, facilities and conventions at the entrance of all parks. Rimini is a city that amazes and fascinates all tourists. Apart from the sea and the beach, those who come to Rimini are always surprised to see the extraordinary offers and services the city center provides. The staff of the hotel Villa Bianca advises you not to miss the visit to the August Arch, one of the ancient entrances to the city of Rimini; the staff also encourages the tourists to visit the Tiberius Bridge which has recently celebrated its 2000 years as well as the Chirurgo Dome, an ancient roman residence which has popped out after years of excavation and works. For the medieval times, tourists can’t remain indifferent in front of a visit to the Malatestian Temple where, until today, tourists can still sfee the Piero della Francesca’s mural painting as well as the ruins of the Malatestian Rock. Rimini has got a very active and hectic historical center which offers many occasions for shopping lovers. In the heart of this beautiful city there are some old and historical shops which propose tourists an excellent selection and a wide range of the best ‘made in Italy’, as well as international names of fashion designers: shoes, handbags, clothes and accessories for men, women or children. In Rimini center, one may find everything he or she is looking for thanks to local and typical products of the place and very-well known names in fashion such as Brandina bags and accessories and Saraghina glasses. To the shopping and fashion experts, we advise them to visit the Adriatic Coast’s outlets where they can buy at very reasonable prices, bags, shoes and designers’ clothes such as Pollini, Sergio Rossi, Vicini, Baldinini, Massimo Rebecchi and Iceberg. Rimini’s hinterland offers all the guests who spend their holidays in Villa Bianca the possibility to organize excursions between history, art and nature. 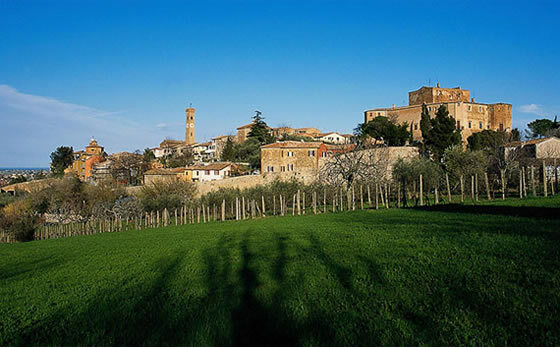 One of these examples is Gradara’s castle, a marvelous place in our hinterland where you can live and touch the story of Paolo and Francesca of Rimini. On the other hand, in Verucchio, the rock which is perfectly preserved, offers a trip in history and culture in the medieval times. This trip between the rocks and castles seems endless. Actually, in San Leo one may relive the story of the Cagliostro’s Count, inside the beautiful castle which is perfectly conserved; this story seems to be surrounded by mystery and magic. The hinterland offers much more than castles, since it’s also a place of historical commemorations or recalls, flea markets of crafts and tastings of typical products of the area. The Palio of Daio di Mondaino is one of these examples: the historical recalling of an ancient medieval tradition which usually takes place in August. In this occasion, the city celebrates medieval times with crafts’ flea markets, cultures and traditions’ markets, hawking or falconry shows, dances and oil, cheese and ham tastings of the territory.